On October 24, I gave a talk at the 4th Books in Browsers conference, San Francisco, about the mysterious phenomena of spam-as-books that has been infiltrating distribution platforms and university libraries worldwide. You can also read my recent paper on this topic (in French). @bib13 "A #Book Isn't a Book Isn't a Book" with @16kbit of Geneva, @GrayscalePress: Two of the major disruptions we face: #ebooks & #POD. 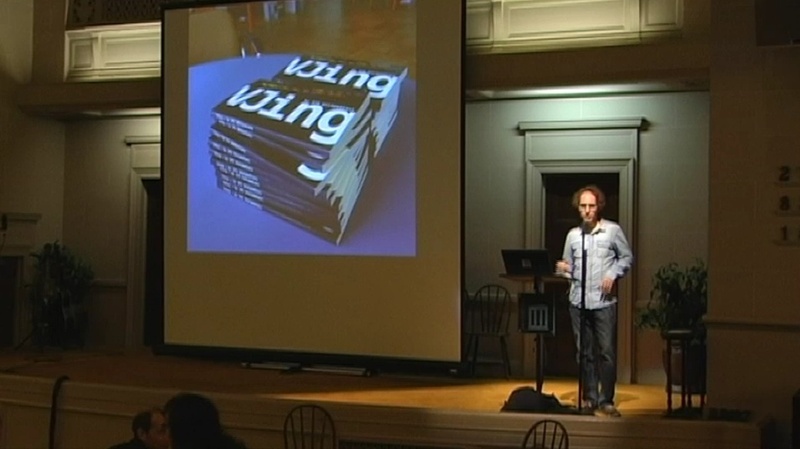 #bib13 "A #Book Isn't a Book Isn't a Book" with @16kbit: "When a book as the wrong image for the cover, you know something is wrong." #bib13 "A #Book Isn't a Book Isn't a Book" with @16kbit is surveying #algorithmic spam and #human-made spam in self-published books. My presence at this conference was facilitated by Swissnex San Francisco and the Media Design master program at HEAD Geneva – thanks for having me!